Prime Minister Sheikh Hasina on Saturday urged the party men to organize Awami League as well as its front organizations and go to the people to seek their votes in the next general election. “Awami League is the only political party in the country, which feels for the people and works for their welfare,” she said urging the party men to wage a rigorous campaign among the people to make them understand this message. 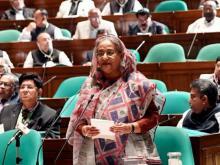 Prime Minister Sheikh Hasina, also the president of Bangladesh Awami League, said this while addressing the party’s third phase of the Special Extended Meeting at Gonobhaban here today. General Secretary of Awami League Obaidul Kader gave the welcome address while Office Secretary Abdus Sobhan Golap placed the motion of condolence. Publicity Secretary Dr Hasan Mahmud and Deputy Publicity Secretary Aminul Islam conducted the meeting. The prime minister said the rural economy has been boosted up and the people have started getting a good result with their higher income side by side with enjoying the facilities of digital Bangladesh and getting scope to live better as Awami League remains in power. No political party except Awami League has ever done anything for the peasants and the working class people, she said adding, “Awami League is pledged bound to ensure that all people have homes and they do not suffer from starvation or are deprived of healthcare services and education,” she said. “Leaders and workers have no scope to show negligence in any single constituency which may lead to their defeat and might damage the scope of forming the government,” she said. 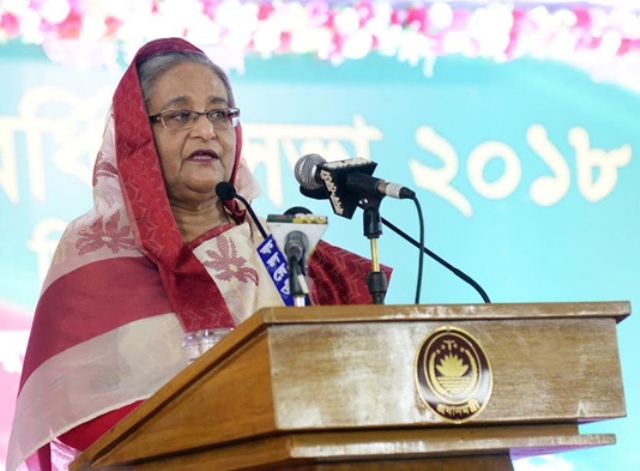 Referring to her government’s initiative for trial of the war criminals of 1971, the prime minister said this process would be stopped if Awami League cannot come to power again. “They will carry out attacks on the people, their homes and property, increase poverty rate, reduce literacy rate, suspend safety net programs and all development works like they have done in past if they come to power,” she said. So, you have to make the organization stronger to work for the people to change their lots, she said. Office bearers and leaders representing different units of Awami League at districts, upazila, pourasabha and union levels from Rangpur, Khulna, Dhaka and Mymensingh divisions took part in the third-phase extended meeting of the party. 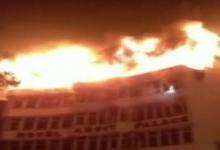 Recalling the atrocities of BNP and Jamaat ahead of the general election in 2014, the prime minister said they burnt people alive and set fire on public properties indiscriminately in the name of movement to foil the polls. But, they could not foil the election as the people stood against their evil design; she said adding that Awami League works for the people as they are the main strength of the party. The prime minister shared with the delegates one of her initiative to publish a series of book based on the intelligence reports, which were compiled against Bangabandhu during the pre-independence era, and the Agartala Conspiracy Case. This book would be very useful to learn about the country’s history and Bangabandhu’s relentless struggle for independence.